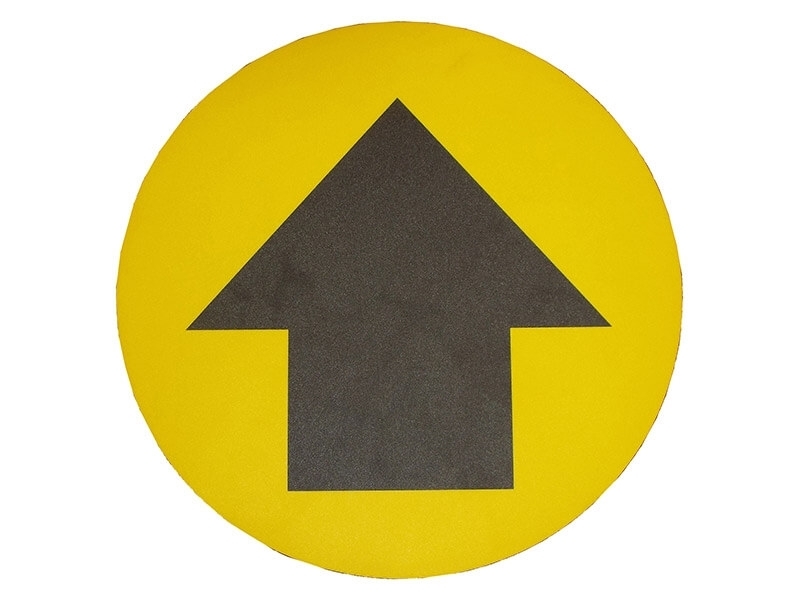 These high-end floor graphic markers are professionally design, eye catching, and are a great way to ensure warnings, hazards and other information is observed in the workplace. 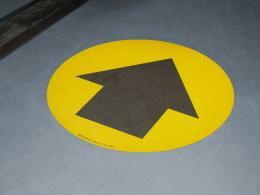 These floor graphic markers are made to last and are printed on durable PVC film that adheres directly to concrete warehouse floors. Working in commercial and industrial environments can be hazardous and sometimes even deadly if proper safety and operational instructions aren’t properly followed. While there’s no substitute for proper training, procedures and operational instructions additional signage is always a good way to reinforce and support safety and operational directives. These floor graphic markers are an excellent way to ensure all kids of different things are properly observed in the workplace. When it comes to ensuring the procedures of your company and the safety of your employees in a commercial or industrial environment it’s important to do everything possible. 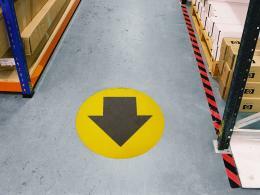 Business owners and warehouse managers can especially benefit from these floor graphic markers that properly illustrate safety and directions for a variety of things. Whether you need to identify a no smoking area or an area where hearing protection should be worn additional signage is a great way to remind staff and contractors of the rules and procedures. The Workplace Depot provides a 1 year parts and labour warranty on this product. The Workplace Depot will deliver this item within 3 working days of your order and provides a price match guarantee to ensure you get the best possible price. If you find this item at a lower price from one of our competitors we’ll match it.